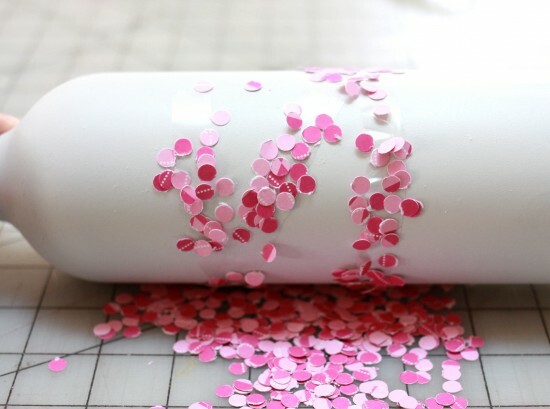 If you are looking to decorate in pink, we have a project that is easy, easy, Easy! Especially if you are reusing the spray painted bottles from another craft/decorating project. 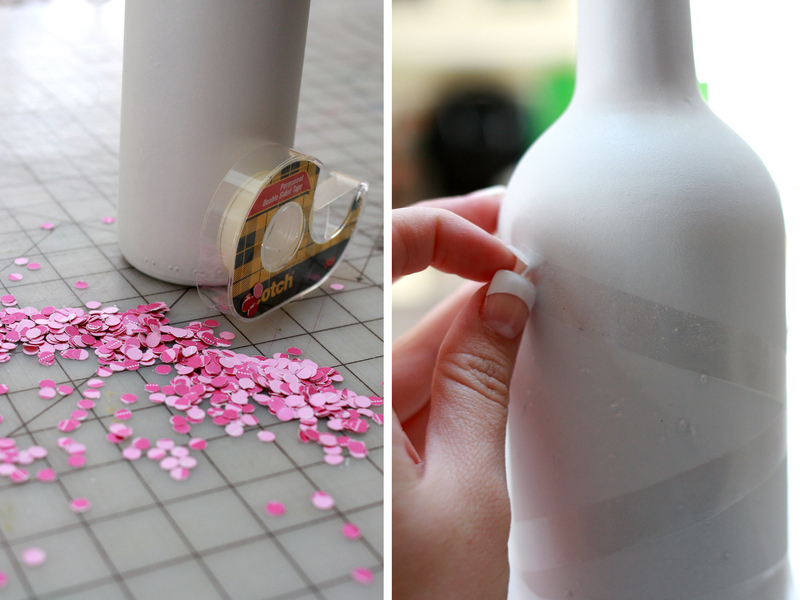 There is little to no cost to this diy decor – paper, a hole punch and tape. You can even have the kids help with the hole punching! 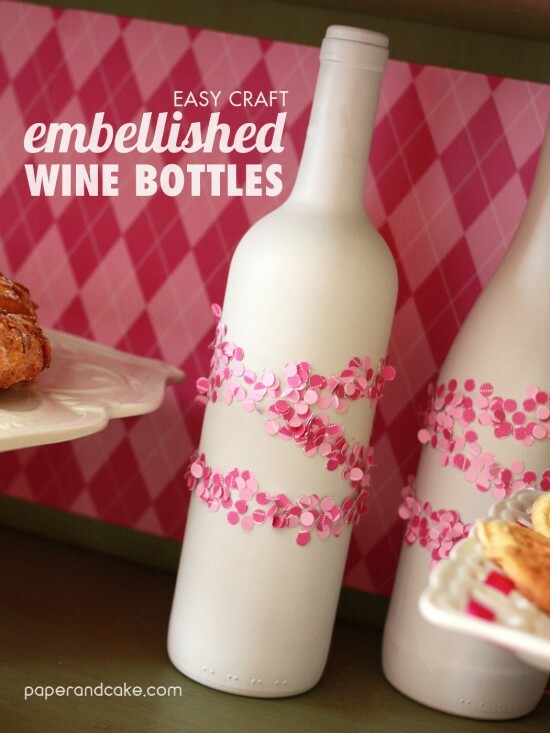 We designed this little project to match our Sweet Heart Printable party collection– the paper we punched was the patterned page that is included. It’s a set that can be used for Valentine’s Day – or really any party that you want a shot of PINK. This is a great idea!! And not just for Valentine’s Day!